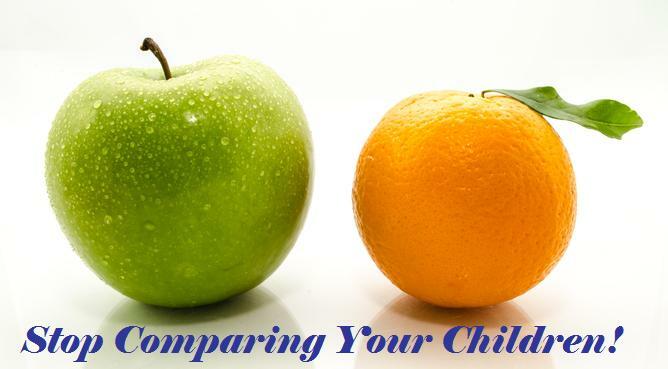 Children are like Oranges & Apples- Don’t Compare Them! Oranges and apples are probably the most popular fruits in the world. They are both fruits, yet very different. Children are like oranges and apples (or if you have many children- oranges, apples, banana, grapes, etc). Every child is different; they have their individual strengths, weaknesses, likes, dislikes, etc; and no matter how similar they seem they are different. That is what makes them unique. Comparing them with one other is doing them a disservice. That oranges and apples are different doesn’t mean one is superior to the other. You need to recognize that oranges can never be apples. 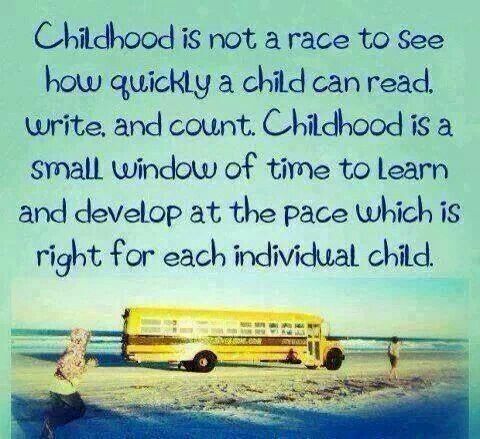 Children develop at different rates, learn and assimilate at different rates. Some are fast; some are average while some are late bloomers. 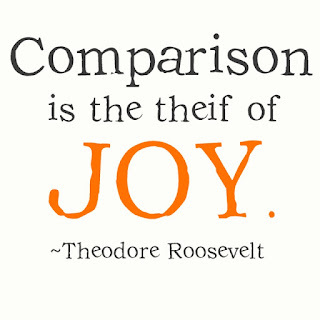 Comparing your child with others is therefore unnecessary. Children also have different talents, strengths and interests; your role is to help your children to discover their own strengths. Rather than focusing on what others are doing or not doing, focus on your Child's effort and improvement. Encourage your child to be the best he or she can be. Stop berating your child for not being like others or not being like their siblings. they cant be like their sibling because they are not their sibling. Allow them to be themselves. Self Esteem issues: It can damage their self worth and self esteem making them to loose faith in themselves and their ability to succeed in life. Stress: It puts unnecessary stress on the child making him/her more prone to failing. Distances the Child from You: constant comparison with others will cause your child to withdraw from you and may even begin to resent you. This is because you are the source of hurt rather than comfort, friendship and support. Fosters Sibling Rivalry: When you praise one child over another, your child feels you prefer the sibling who you praise and may begin to pick fights with him/her. 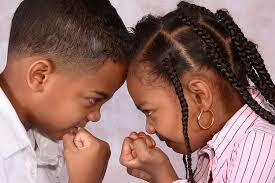 This is the root of many sibling rivalries that continue to adulthood. Set Targets for improvement on current performance. Your Child should seek to always outdo his past. As long as he is making progress and doing his best, recognize it and appreciate it. Identify their strengths and encourage them to develop their talents. When they do well, we should recognize the effort and commend them. Support their weak areas: Does he or she need some extra coaching, some learning materials? Sometimes the children know what they need to improve, ask him/her how you can help or support and do so without grudges. Provide Love & Support unconditionally: Let your children know that whatever happens, you love them and you are always there to help and support them to be the best. Don’t force them into Molds: Allow them to be whatever they desire to be in life, do not force him to become an Engineer when he wants to be a lawyer. You might just be setting him up to fail. The truth is, if all your children are 100% alike, then you have only one child and the others are just copies or clones. 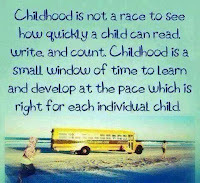 Remember that every child is unique and it’s your responsibility to help them discover their individual uniqueness and strengths as well as work on their weaknesses; recognize each child for who they are. Never put down a child in the presence of a sibling and especially a younger sibling (Ouch!). Never put them down- Period. 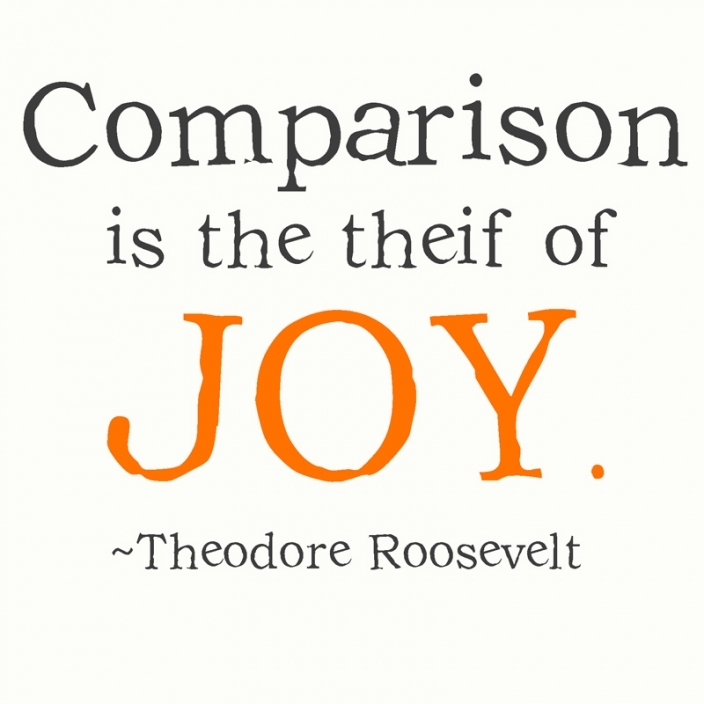 Next time you are tempted to compare your children, remember they are apples and oranges! If you need a resume writing online for military positions, you should apply here and order it from this guys. They are the most specialized in this field and could answer all your questions.